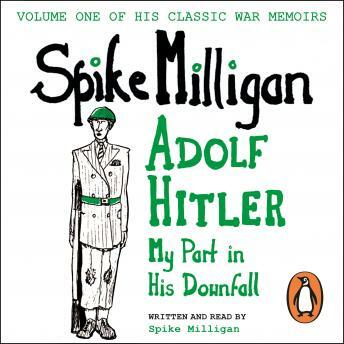 Penguin presents the unabridged, downloadable, audiobook edition of Adolf Hitler: My Part in his Downfall written and read by Spike Milligan. In this, the first of Spike Milligan's uproarious recollections of life in the army, our hero takes us from the outbreak of war in 1939 ('it must have been something we said'), through his attempts to avoid enlistment ('time for my appendicitus, I thought') and his gunner training in Bexhill ('There was one drawback. No ammunition') to the landing at Algiers in 1943 ('I closed my eyes and faced the sun. I fell down a hatchway').